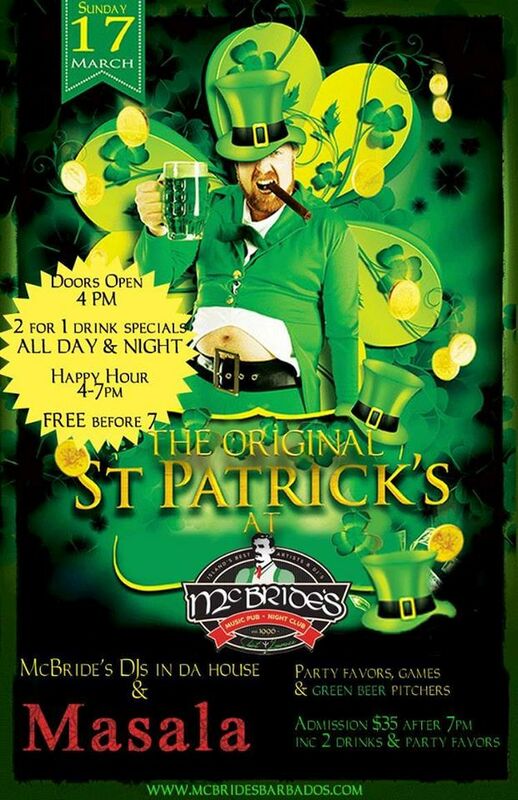 The Original St. Patrick's Day at McBride's is BACK! Paddy Lime with Happy Hour from 4pm. 2 for 1 drinks specials all day and night! 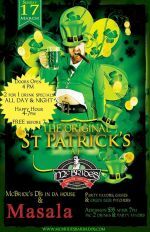 McBride's DJs on the deck and LIVE music with Masala. McBride's is a lively pub in the middle of St. Lawrence Gap action.